The Rare Vntg mission is to curate and provide our customers with premium authentic name brand products that bring back a distinct moment of history, paying homage to the flavor of the 80’s and 90’s Sports and Hip Hop culture. The Rare Vntg brand represents the culmination between Sports, Golden Age Hip Hop and Fashion. Rare Vntg offers a shopping experience found nowhere else in the world. We carry an exclusive, handpicked selection of rare vintage clothing, hats, sneakers, jerseys, and toys. With a vast knowledge of sports and street wear fashion history, Rare Vntg only stocks the most extraordinary items from premium brands. At Rare Vntg, we strive for authenticity. We provide 100% authentic merchandise, WE DO NOT DEAL WITH COUNTERFEIT PRODUCTS! Rest assured, when buying from Rare Vntg you will be receiving authentic product. In every post, we specify if the item is brand new or pre-owned. New items are sometimes in original boxes/bags and will include original tags or other accessories. We also carry pre-owned and even game worn vintage apparel/jerseys. When purchasing vintage items, please keep in mind that many items are 20-30+ years old. Nothing is ever going to be perfect! Although an item may be listed as new/unworn, it may show natural signs of storage wear/damage or yellowing for example. We do our best to provide a thorough description of each individual item. If you have any questions or comments about an items condition before purchasing or would like to request more pictures, please contact RareVntgLLC@gmail.com we are happy to answer any questions you may have! We are not responsible for the item after it leaves our store and cannot accept returns at this time. Please keep this in mind before purchasing. If our vast selection of Rare Vntg isn’t enough for you, or your searching for that one special dream item to add to your collection, let us find it for you. 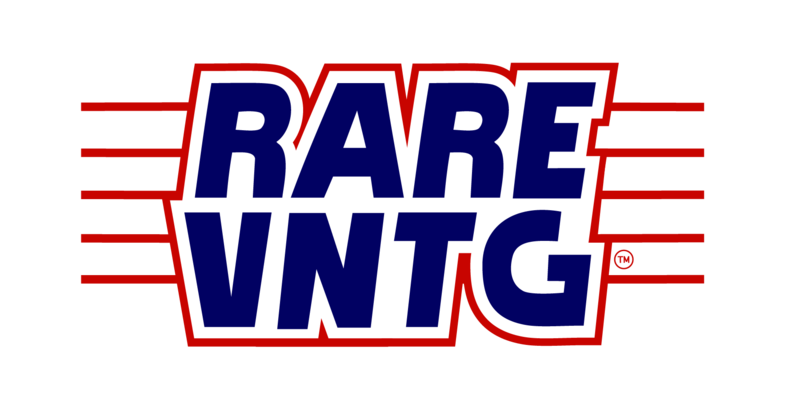 Rare Vntg offers an exclusive service for our customers: Rare Vntg personal shopping for limited sneakers, clothing, hats, and jerseys. Contact us with your request of the item, size and any other details that we may need to know. If you’re a serious buyer, we’ll be more than happy to make your dreams come true. We are the buyers and suppliers. We are not affiliated with any of the brands we carry; just passionate collectors of rare vintage items.